Why is my son blessed with red lips and I have to buy lots of makeup to fake the look?? LOL! So unfair. 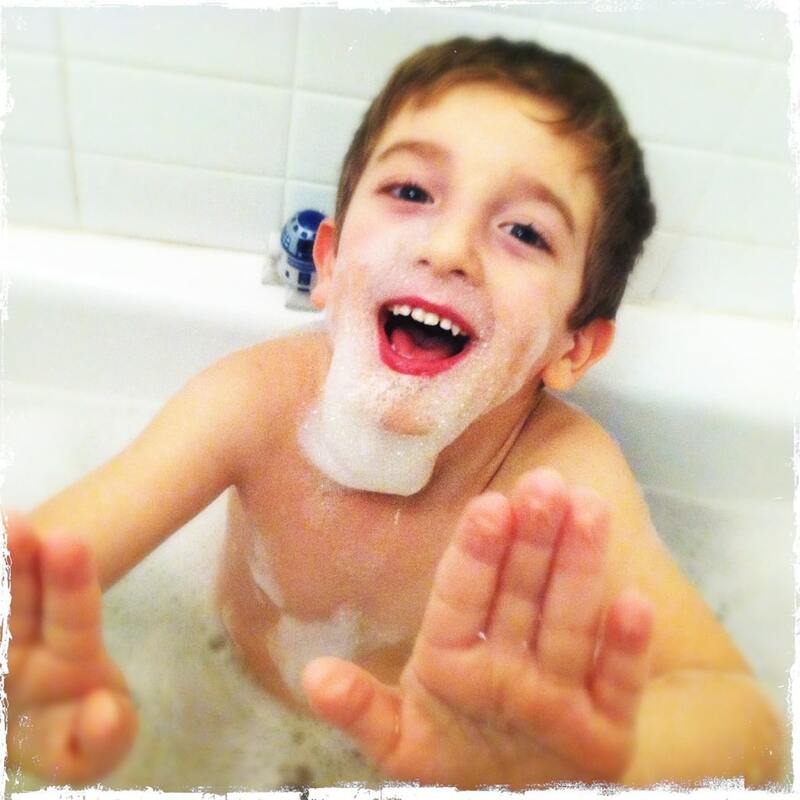 Yesterday, both kids wanted to take bubble baths. Thankfully, we have two bathrooms in this house. So, we filled up the tubs with some hot water and they splashed away for over an hour. Both of the kids were singing and role playing with toys. It was so fun to listen to! Bill and I muted the TV and just soaked in the noise. They aren’t going to be kids forever, right? Liam is a huge fan of ‘Adventure Time’. Do your kids watch that show? Anyway, he disguised himself as the Ice King. LOL – there’s some resemblance for sure. For the young and old, there’s nothing quite like a steamy hot bubble bath, right?? Previous Post: « Havana Central Brings Authentic Cuban To Long Island: Thank Goodness!